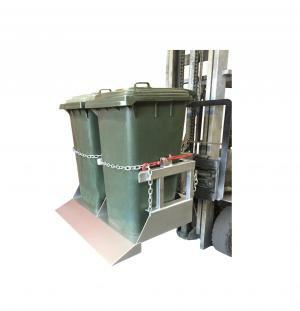 The DHE-BLTS Bin Lift Tipper Single is suitable for emptying a standard 240 litre plastic wheelie bin. 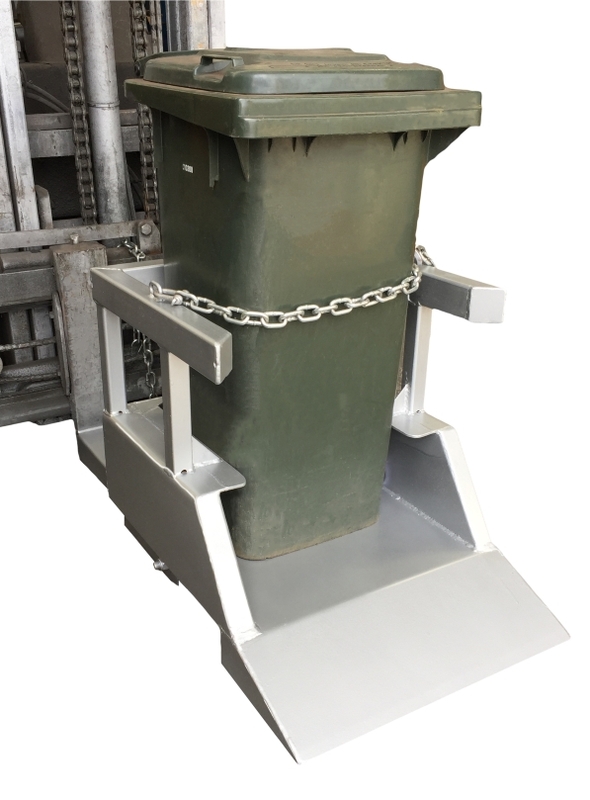 – Featuring a simple and safe tipping operation, the bin is wheeled into the tipper and secured with safety chains. 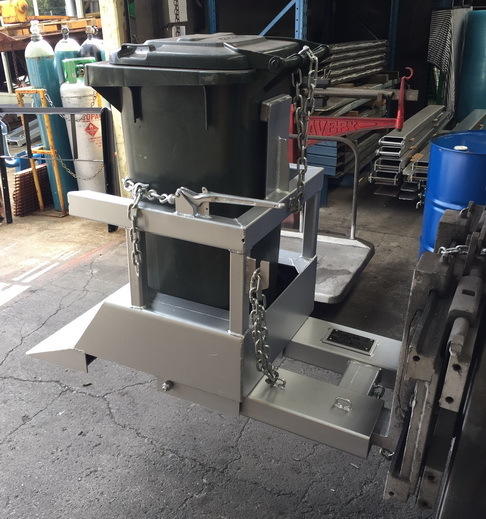 – The 180 degree tipping operation is simple, safe and the operator doesn’t need to leave the seat during the tipping cycle. 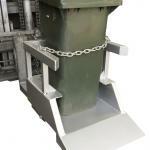 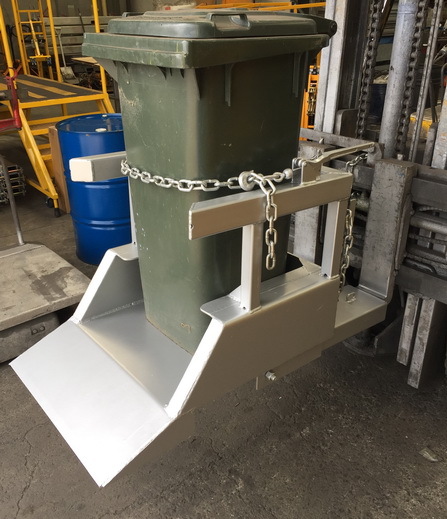 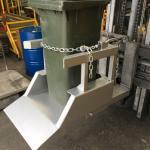 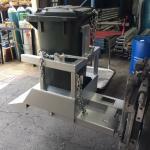 – Standard finish of Bin Lift Tipper Single is Zinc plated.